Buyers, suppliers, senior management all get accused often of playing games (Certainly as buyers if we fall back into playing Mr Wolf). 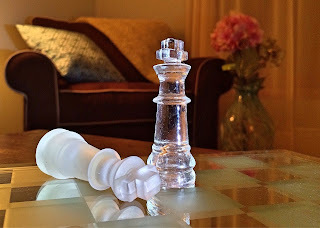 In this post I explore the underlying metaphor of 'game playing' and how that might point to a solution to stop all that wasted energy. It's interesting therefore if we then apply these rules to the metaphorical, and yet very real, games played within a business - you know, the game playing and politics we moan about, that get in the way of effective decision making, and day to day operations. Who determines the rules are we using? Are we all playing by the same set of rules? Did we all agree on the repercussions? Why is there a need to win? What's the impact to the business of having losers and winners? What happens if one side stops playing the game! It's this last point I want to consider. That is, when faced with game playing in a corporate environment, what happens if you stop playing the game? If the other party then needs to engage with you wouldn't they then need to do so civilly, adult/adult, outside the rules of the game? And more importantly wouldn't that be more helpful in business than just keep playing the game? "That's just the way it is Alison." Yes of course that is the way it is - if I'm accepting that we're playing the same game, and am accepting those are the rule of the game we're all playing - even if I disagree with some of the rules - even if I'm opposed to some of the rules? I do, however, have a choice to not play the game. I'll repeat that - I, we, do have a choice not to play the game. So long as the other party requires my/our involvement, I'm then moving the exchange from the rules of the game to the rules of normal human interactions! That's certainly been my experience anyway - so long as you don't just want to change the game you're playing that is. In other words, so long as we stick to not playing any game, sooner or later that's the behaviour we'll get back in return adult/adult civility. The biggest challenge is many in business prefer to play the game because they understand the rules, even if they don't agree with them. They're fearful of stepping into the unknown. I'm sure like a lot of metaphors there's holes in my argument. Not least because my interpretation of the metaphor won't be yours - I might see it like rugby and you chess. 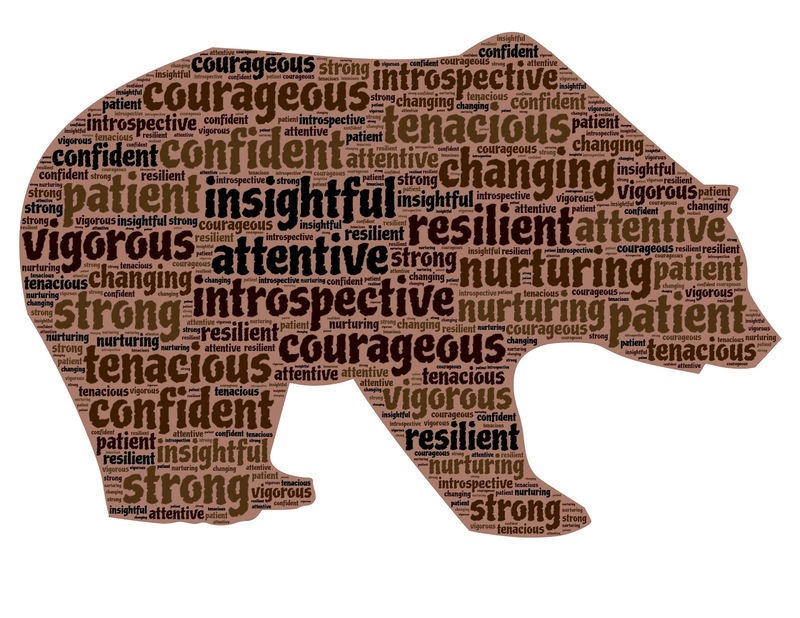 However like much of the coaching work I do I'm working on the premise that the language we're using is big clue to how we're relating to a situation. Which means the language, and metaphor contained within it, has the potential to provide the solution. Which means if you describe any activities in a corporate environment as 'game playing' then at some level you're conveying the whole metaphor. Have you ever tried just saying "I'm not playing any more", and what happened? How have you moved relationship onto a more adult/adult level rather than player/player? Recent blogs touch on how to address game playing on other ways - when faced with toxic leadership, and another invites us to take our head out of the sand about our own contribution to the behaviours we judge in others. Other blogs written around language used include: winning hearts and minds, deadlines, chocolate, can't see the wood for the trees, making mountains out of molehills, life or death, and even hello! I also use language and metaphor over on Landscaping Your life - where I use nature to inspire change. Because nature is such a wonderfully insightful metaphor that we can all relate to. 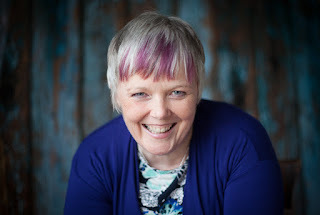 I attended the above conference at the University of Glasgow on Wednesday - it had been co-arranged by the University and Amy McDonald founder of Headtorch, an organisation that enables people to feel good, AND be productive at work. 100% ie every one of us - not just some of us - all of us. 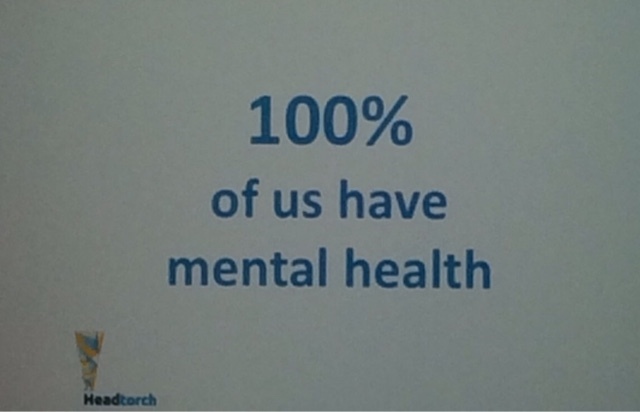 100% of the time too - ie there's no taking a holiday from our mental health. We have it at work, rest and play. That is - it's with us where ever we go. 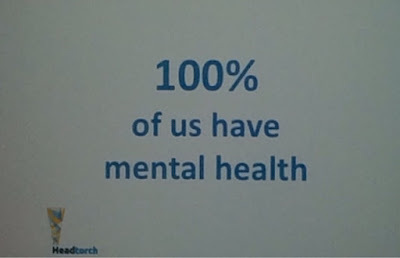 Our mental health is variable too - a continuum that changes day to day, week to week, year to year. There's things we can all do to support our own mental health, and there's thing we can do that hinder it. There's also things we can do to support other people's mental health, and certainly things we can do that distress other's mental health. The challenge is that we don't talk about mental health, and therefore don't find out what supportive behaviours we could be demonstrating. Which means if your actions are negatively impacting my mental health you don't get to find out, and if I could do something to support yours, I don't ask, and therefore never find out what I could do differently! We're all blindly making assumptions about supportive and acceptable business behaviours, and yet don't fully understand what they are! Allowing fear of recrimination and stigma to stop us having those very important conversations. If you're worried about someone, and even if you don't know what you might be able to do, asking "Are you okay" can have such a profound impact (see See Me Scotland's video "Are you okay" - explicit or clean version). Profound because ignoring the person can significantly and negatively impact the person's mental health further. Saying "I'm here to listen" or asking "What would help most?" Say "No" more often - ie look after your own mental health, and don't be pressurised into saying "Yes" when you mean "No". Or at least say "Let me think about it" to give yourself more time to determine the appropriate response that supports your mental health. The key being to talk about these NOW - ie it's not about waiting until the lack of a conversation is causing problems! It's also about having it as part of ongoing dialogue - it's not something you do once, tick and box, and move onto the next item on your to-do list! When will you next talk about mental health - and who will you be having that conversation with? and on 4th February in the UK #TimeToTalk. 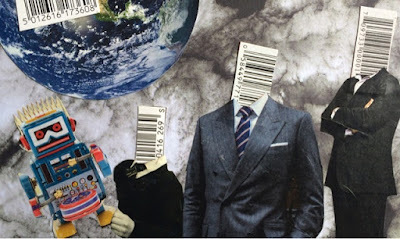 As a result of attending the conference I wrote a number of accompanying blogs (expressing my personal views and exploration of the topics raised) this cover Buyers' responsibility towards suppliers' mental health, Toxic leadership, Watch your language (about the self fulfilling prophecies we manifest by the language we use.) and Is your head in the sand about our own contribution to the behaviours we judge in others. In 2013 I also attended Amy's conference Work's Mental, and wrote a blog entitled "it's not about the toast" based on the topic of a learning and development session. It used, and continues to do so, interactive theatre to get people talking about this subject. 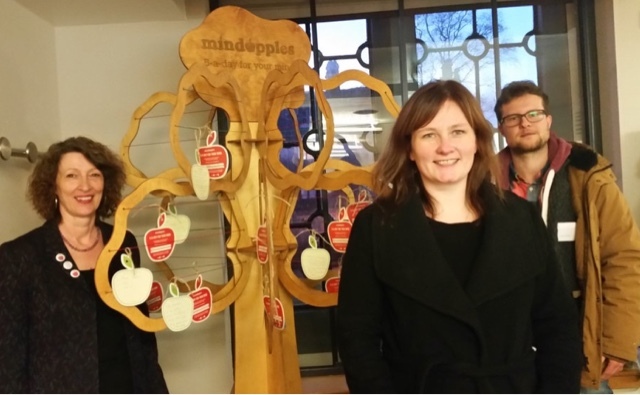 Picture at the top of the page shows Mindapple's tree that we were encouraged to tie our own mindapples on (day to day activities that are good for our minds) - here's my mind apples - written some time ago. Are you watching your language? 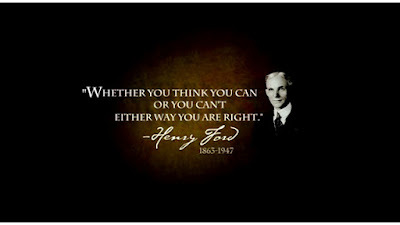 "I've got to do this because it's the only way I'll get the bills paid - but I hate doing it - I wish I was doing something else instead"
"It might work for x but it won't work for me"
I agree with Henry ford if that's what you think you're right! What are the benefits of believing that? How have other people achieved this? and other questions that would get you thinking about the beliefs you have, and the impact they may be having, on your life and you achieving the goals you've just told me you want to achieve. 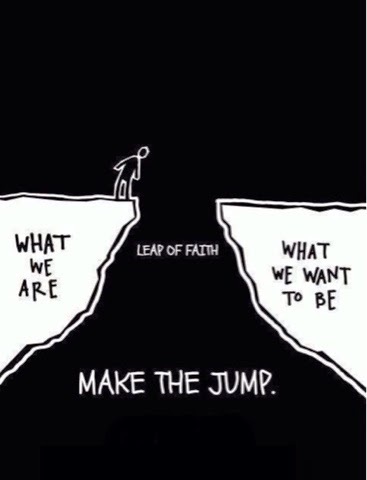 That is we could explore the different ways you're stopping yourself from achieving your goal. However more simplistically changing the language might just be the first step. That is if you believe there is no solution then you won't look for another one, or notice them, or do anything to determine whether the statement is true ie you've clearly made your mind up that there is no solution. If you believe you can't you won't even try. Try this experiment for me (taking care to listen to your body, and only do what it feels comfortable and easy to do - it's a comparative exercise not a competition". Please do the exercise as you read the instructions keeping your feet and hips facing forward, and in the same place throughout. Stand up straight - with enough space to put your arms straight up in front of you, and to the side and back. 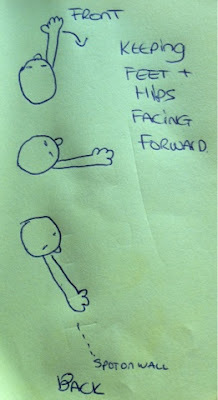 Keeping your feet and legs still and facing forward, turn your arm, head and body around to the back of you and keep going (easily and effortlessly), and when you've turned as far as you can - notice a spot on the wall so you know how far you went. Now think about being able to do it, about it being sooo easy and effortless, about other things you've done that you've done easily, about going with the flow, length, flexible, easy, and on track. Just amp up the feeling of being able to do it. As you do this do step 5. Keeping your feet still and facing forward, turn your arm around to the back of you and keep going (remember easily and effortlessly), and when you've turned as far as you can notice this spot on the wall. How did it compare to the original spot? Now think about not being able to do it, about it being difficult to do, about other things you've done that were hard to do, walking through treacle, stiff, short, difficult, stuck and useless. Just amp up the feeling of not being able to do it. As you do this do step 9. Keeping your feet still, turn your arm around to the back of you and keep going (easily and effortlessly), and when you've turned as far as you can notice this spot on the wall. Return to the original position, put your arm down and relax and shake your shoulders and arms a little to release any tension. How did the 3 positions compare? For many of you reading there will have been a difference between the 3 exercises - with No 4 taking you the furthest, and No 8 taking you the shortest. 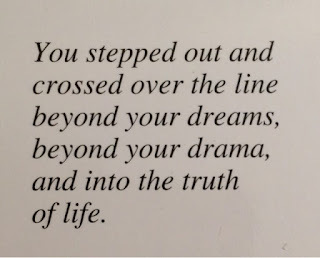 You started with the same body, and yet your thoughts impacted what it could do. 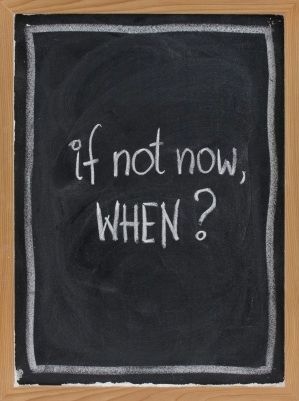 We are doing that everyday and it's so often the thoughts that determine the outcome. For some there will have been a difference between the 3 exercises - with No 8 taking you the furthest. If you went further every time it could just be flexibility that improved. However as your coach I'd certainly want to explore with you if in fact you're more motivated by telling yourself you can't do something than when you believe you can. It's still the power of your mind over your body just a different sort of power! For others there may have been no difference between the 3 exercises. In a coaching session we might explore why that might be, and explore other means of demonstrating to you the power of your mind over the outcome. It's not something I can easily explore here in the blog. "I've got to do this because it's the only way I'll get the bills paid - but I hate doing it - I wish I was doing something else instead" becomes "I'm choosing to do this currently to pay the bills until I find something I love doing that will pay them instead"
"There's no other solution" becomes "so far I've been unable to find an alternative solution that meets my criteria - but I'll keep on looking"
"That won't work" becomes "With the evidence I have I can't currently see how it will work, but I'm open to understand how it can"
"I can't do it" becomes "in the past I was unable to do it - I may be able to do it in the future - I'd like to explore what resources I need to do it"
"It might work for x but it won't work for me" becomes "As it's worked for someone else then there's no reason to suggest it won't work for me - let's find out how"
"In an ideal world" becomes "it's something I would like to see happening in the world, so I'm going to explore how to make that a reality, or move towards it anyway"
Did you notice how the second sentences felt very much different from the originals, and how they also allowed a solution to be possible? 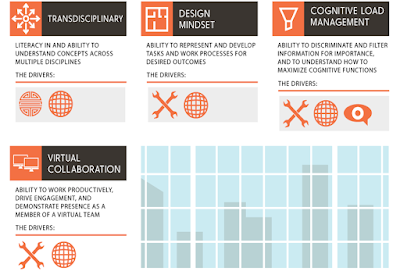 A believe a common enabler to implementing these skills has been omitted from both of these lists, and other's I visited, and that is managing change. That is sustained change, required to develop and use these new skills, is only possible if hearts and mind's are engaged and that doesn't just happen. It requires that we be motivated to make the changes and, as I said yesterday, that requires that people be inspired - inside and out. 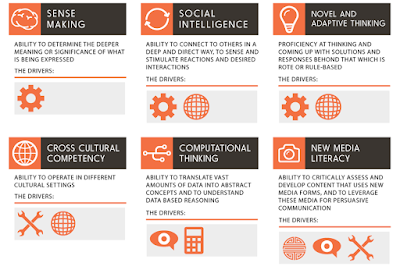 So before you start developing these skills, or recruiting for this *new* skill set, do make sure you understand how change will be embraced by these individuals, and how it will be managed and inspired going forward. 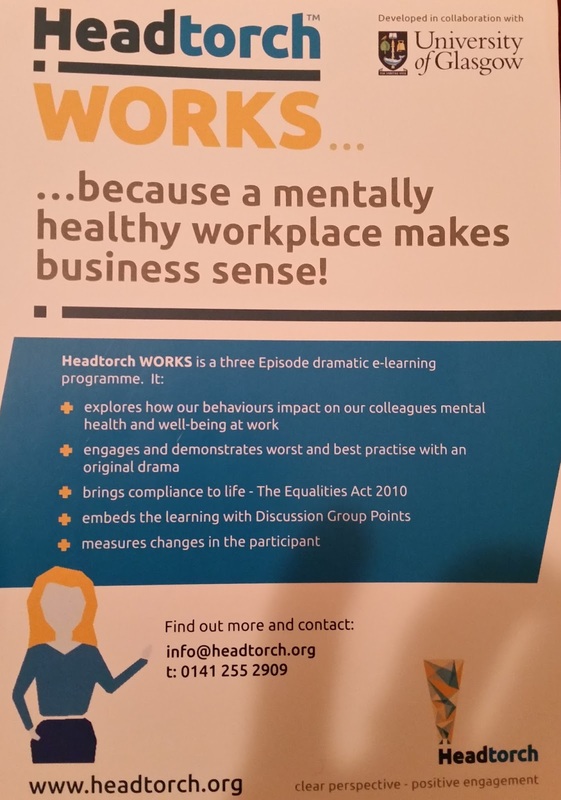 I'm attending #MentalHealthAtWork in Glasgow tomorrow, and was reminded by the notes from the last conference that 'reaction to change' is a major cause of stress. So too excessive demands, ineffective relationships and lack of: clarity on roles, control, and support. It's interesting, or perhaps I should say disturbing therefore, that skills to manage these didn't more significantly make it into the top 10! 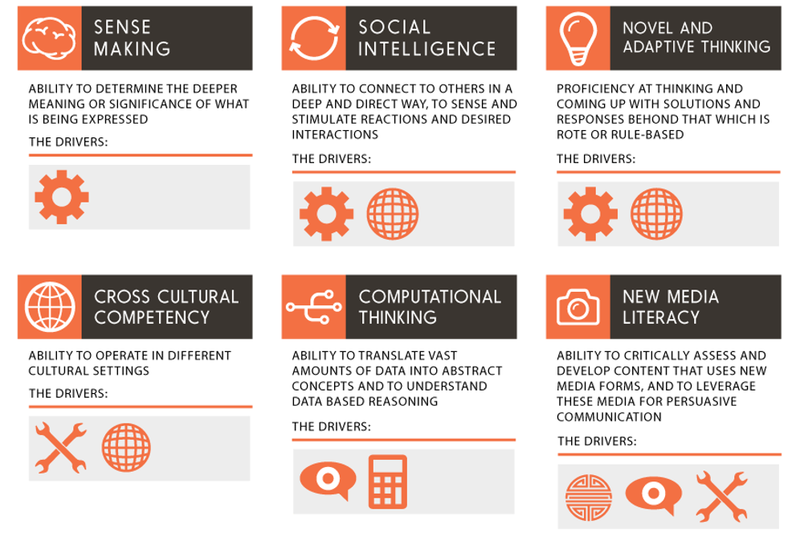 What skills do you think will be in the top 10 for 2020, and where do you think change management (or even stress management) fits in? You may also like Allison Ford-Langstaff's series of posts over on Future Purchasing's site that looks a little further ahead and ask's - what will procurement look like in 100 years time. Although my suggestion that we may no longer have any money never made it into any of her 3 lists - the seriously good, the disturbingly bad nor the slightly mad! 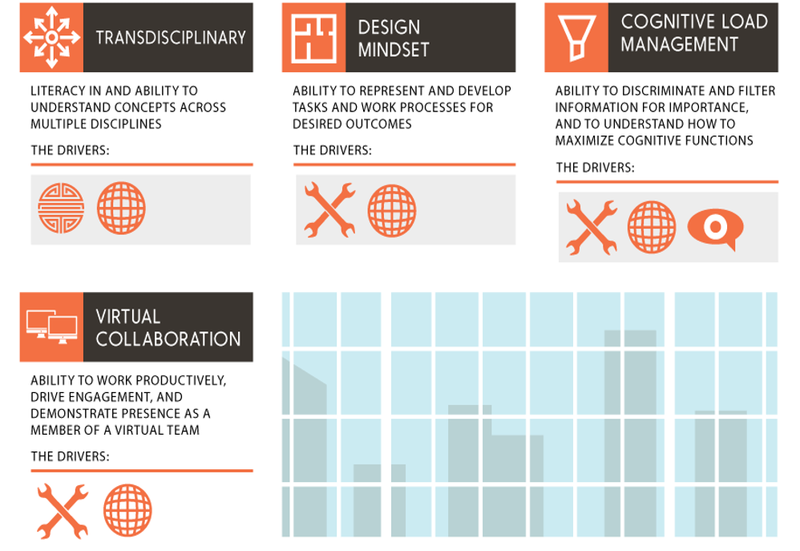 I've written other blogs on the enablers for team working, supplier management and category management because learning what to do differently, just as for any of the skills above, won't happen unless the enablers are in place. 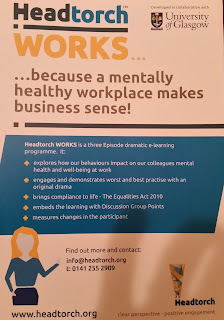 No surprise that change management was included - so too many behaviours that would reduce the stressors mentioned in the last #MentalHealthAtWork conference. I'll be writing a blog following this year's conference - so watch this space. Inspiring change - what's that all about? For the last year I've added the tag line 'inspiring change - inside and out' whether here on my Purchasing Coach site, on my LinkedIn profile, or when using nature to inspire change over on Landscaping Your Life. 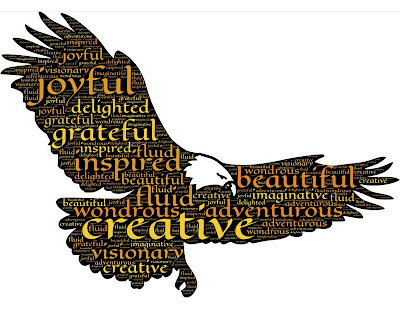 "Why inspiring change?" is a frequent question. It originated from my answer to questions asked in many PSA meetings "what's your niche Alison" "what's your USP? "why you, and not Sarah over there?" The answer has always been that I help people get unstuck and back on track: whether that's through the coaching I do, Supplier Management training I deliver, stakeholder influencing and communication, or the category management strategies I develop. That is there's a gap between where someone, a team or project is, and where they want to be - along the lines of this graphic. Yes I can, and do, get a project from A to B by my own actions but that's not my niche. My niche is supporting and leading others on the journey from A to B. To do that requires others to be motivated to let go of how they do what they do currently, and to do it differently. As motivation comes from being inspired that's where 'inspiring change' comes in. The 'inside and out' is important because it's not just about 'doing' things differently on the outside, but also how you think on the inside - the emotional intelligence if you will behind the actions. Sustained changed can only take place if the beliefs and motivations are there to support that change. My niche therefore is inspiring change inside and out - that in turn allows others to get to B, and learn from the experience so they can replicate that again. Blogs I've written that explore more about my thinking, and how I do what I do are listed below - just follow the hyper text link to find out more. 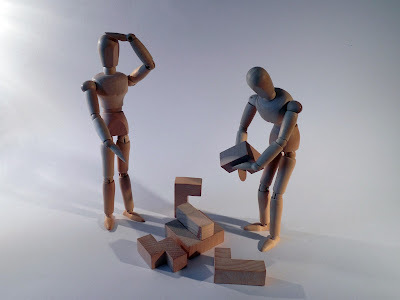 The case for soft skills, and my response to "I don't do soft skills"
If you're wanting someone or a team to move from A to B, and want them to be inspired to make changes, then do get in touch. How do you manage 'problem' suppliers? One common complaint I hear when networking is "I'm having problems with my supplier(s)". I thought it might be useful therefore to provide a checklist of questions you might want to ask/answer to understand more about the possible causes - or to avoid it happening in the first place. "What percentage of the time is the buying organisation to blame for supply problems?" Is there any potential for misunderstanding of the language being used - for example when you say 'problem' do they hear 'niggle'? Has the action plan been agreed and communicated at the right level within both organisations to ensure the appropriate resources and support are available? How will progress be monitored - it's no use finding out on the due date that there's been a delay just because you believed them, and haven't checked progress for 6 weeks! I wrote a blog a few years ago saying if supplier selection isn't done right right don't be surprised if you end up with someone whose only credentials are winning the egg and spoon race when they were at school! The contract may shed light on the responsibility for the problem. That is it may very clearly state that it was your responsibility to undertake X and not the supplier's. I often use gardening as a metaphor for supplier management. That is you don't generally own a garden, and then leave the grass and plants to their own devices. You certainly don't then blame the plants when they get over grown, or fail to grow when you know you planted them in the wrong place, or failed to give them the right conditions they needed to flourish. Suppliers require the same level of attention - they need planting, watering, feeding, pruning, mowing, weeding, replanting, uprooting, time in the greenhouse and yes sometimes to be put in the compost! It's no use getting frustrated with a supplier when you tried to prune them with a blunt knife, or planted them in a corner and forgot about them! Jump straight in, and blame the other person without understanding their point of view. Suddenly say something is important if you've not been communicating or even measuring it as you've been going along. For example if recent response times are important how would they know that if you're always late in responding to them, or have allowed them to be very tardy in their responses for the last 6 months! Keep doing what you've always done, and expect a different response. Assume they see the situation the same as you do - there are 3 versions of any situation: yours, theirs and the truth! Assume they are motivated by the same values as you, and therefore will obviously agree with the severity of the current situation. Keep it to yourself and hope it will get resolved - escalation is very important - so too keeping everyone updated with progress. Finally, before taking action, you may also want to stand in the shoes of your supplier in order to get more insight on how they might be perceiving your actions, and the actions of your organisation. I'd love your thoughts on other additions to this checklist, or other questions you have about problems you have with suppliers. I started the week looking at different interpretations of the words 'supplier management', and finished it by exploring interpretations of the use of 'personal care' in the NHS. 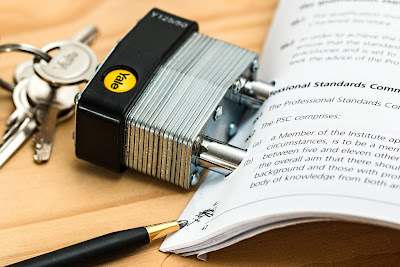 Today I'd like to explore interpretations of the words 'out of contract'. Out of Contract is a phrase often used in my day to day work as The Purchasing Coach between buying and supplying organisations. It usually can be translated as "anything goes". That is what ever terms that have been agreed re volume, price, delivery and payment may no longer apply. That is both parties can continue to do business, acting as if the contract terms apply, but either party can turn around at any point and say "enough is enough, it's out of contract, we no longer wish to do business on those terms". Often at very short notice. I was surprised however when BT used this phrase when I questioned who was responsible for paying for the replacement router in my home office. That is it seems I am responsible for the paying for the replacement because "the services are out of contract". An interesting use of words - for me the services are still in contract - I pay an agreed fixed fee per month for the given service which includes the phone calls, wifi and router. The router is an essential part of that service provision and yet because I'm "out of contract" I can get the phone calls and wifi at the same price, but not the router through which I access the service. Which led me to ask about renegotiating the contract so we started a new contract with a new router provided by BT, but was told there would be a fee to do that. A fee that would be greater than the cost of the replacement router! A great reminder why it's useful to understand what terms apply at the start of any service provision - rather than find out when you're on the back foot and something has gone wrong - at work and home! 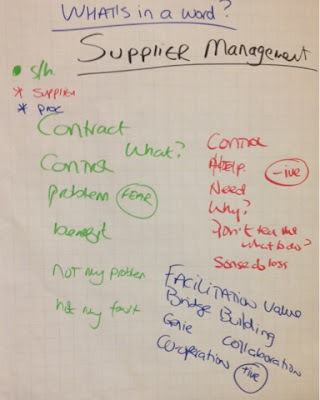 On a recent workshop, during a conversation about the meaning of Supplier Relationship Management, we realised the words used are very prescriptive and not at all inclusive. As I shared earlier in the week we felt the supplier (red), procurement (blue) and internal stakeholders (green) would all have different interpretations for what the words meant. Interpretations that might not necessarily inspire the desired action from those involved. Our recommendation on the day therefore was that we refer to the activity of managing buyer/supplier relationships as Relationship Management. I realise that may beg the question - what relationship - but at least it enables the responsibility for the relationship to be shared. After all marriage guidance isn't called wife guidance or husband guidance - as much as either party might like it to! 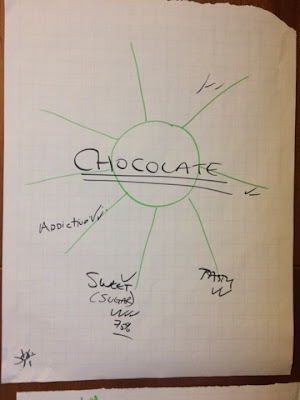 Yesterday I shared examples of miscommunication that arise when making assumptions that people have a common understanding about the words we use - in the example yesterday the words were supplier management, and in workshops I often use the word chocolate! (Follow the links for more explanation). Over Christmas and the New Year whilst my dad was in hospital in England for 2 weeks I had reason to observe the opportunity for miscommunication that hides in the language of the NHS. It started fairly innocently with my dad describing that he'd 'been sick'. The Dr then seemed to spend an inordinate amount of time trying to get my dad to say 'vomit'. It may be he was testing my dad's mental faculties, but it did seem to me to be a test of whether my dad could use the correct medical term for what he was experiencing! Again an innocent difference of opinion on whether dad's pain was coming from his back or his hip. The more the Dr used the word 'back' the more agitated my dad got - how simple for someone to explain to dad that sciatic pain starts in the back and passes over the hip and that they weren't in fact talking about a different pain, and had listened to what we was saying the first time! Then it got a little more difficult. 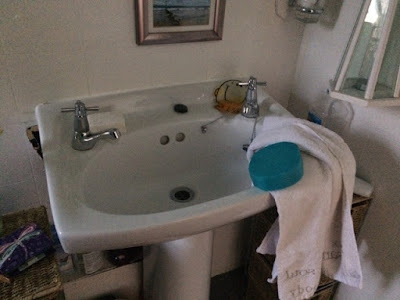 My dad was told that after discharge 'Social Services' were coming to visit, and took that to mean they were coming to undertake an assessment of what help he might need to support his personal care. In fact they meant they were sending out an occupational therapist just to see if he needed any aides to support him. A number of us are old enough to remember when the use of Social Services did mean a whole raft of services. Today they offer a fraction of those services. More clarity at the hospital about the services being offered would have significantly reduced the angst for us all when he got home! Which on the face of it are seemingly useful activities - until you scratch bellow the surface. Which reminds me too much of my many rants about the inhumane way we treat each other. Next time you make an assumption about what a word means - do check you have common understanding with others who are using it. Rarely a workshop goes by that I don't get everyone up on their feet and sharing the words they associate with the word Chocolate. That is helping those there to understand that it's very easy to miscommunicate, even when using simple words like chocolate. The reason for using the word chocolate is it reinforces that we're on a very sticky wicket when we use words like procurement, category management, supplier management or supplier relationship management. That is the chances of having a common understanding with other stakeholders is negligible. Yet we often forget this fact, and make other assumptions about reactions we're getting to what we're saying. 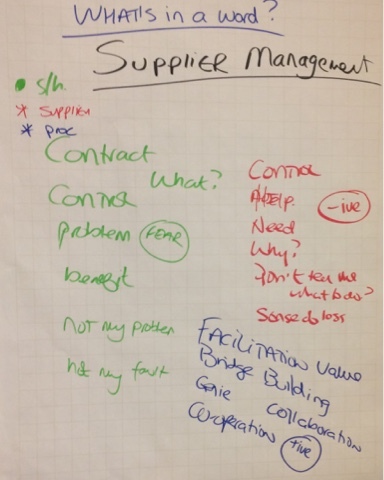 On a recent workshop I asked the delegates what they thought the definition for Supplier Management was for 3 different groups - see their response for Procurement (blue), internal stakeholders (green) and the supplier (red). As you can see they thought Procurement defined supplier management very positively, internal stakeholders with a degree of fear, and suppliers negatively. Whether their assessments are correct is open for debate. Even so it provides further insight into the challenge of adopting Supplier Management in an organisation. To find out more about the content of recent workshops follow the links for category management, supplier management and team building. A lot of the focus of the blogs are on the soft skills required to do the job well rather than the procurement processes to follow. Tomorrow I'll share a recent example of miscommunication, and the use of the words 'personal care', in the NHS! I often get asked why I use metaphors when helping others get back on track - here's my response. Have you ever noticed that sometimes the more you talk about a problem, the more confused you become. Additionally that the more people that are involved, the more barriers and resistance to hearing different ideas there are, and how much further away the solution becomes? The challenge when we have any problem is we get stuck in the content - the detail - and since it's the detail that we're stuck with - it's not a surprise that sometimes it's the detail that keeps us stuck. Unless they apologise then xxxx!?! I'm just going to do what I wanted to do in the first place - stuff them! Or you ask someone to tell you about the challenge, and 3 hours later you're still there. As they fill you with every detail they think you need to hear - so you can see it the same way as they do anyway! Or other variants in the same vein that force you to defend your position and reinforcing your own point of view. Making it harder and harder to be able to stand back, get some perspective and find a solution. The problem with trying to solve a challenge using the current logic is, therefore, that we get caught up in that logic and detail. Perhaps more importantly we strongly hold on to our judgements, beliefs and assessments about the situation, and believe them to be correct. Which means alternatives are not so easy to identify, and consensus is hard to achieve. If a picture paints a thousand words then I like to say that a metaphor paints a thousand pictures. This may or may not be completely nor scientifically accurate but what I hope it does convey - is the richness of metaphors - and all without having to use thousands of thousands of words to describe a situation. Try it for a moment - what do you think supplier management in organisations involves? Or put another way - once you've placed an order with a supplier how much attention do you give the supplier? If the many procurement horror stories are anything to go by - or conversations I have on flights - then orders are placed and suppliers just expected to deliver. Until there's a problem of course! Can you get a sense that saying "purchasing is like gardening" has opened up the conversation in a way that talking about procurement theory might not have done (more here too). Especially with non procurement managers in the business - who I'm assuming don't live and breathe purchasing like I have for 30 years. Another tool I use in my coaching is Landscaping Your Life - it's a process I've used for 15 years - and uses nature as a metaphor for our lives. That is we use the richness that is contained within nature to provide insight into how we might want to relate differently to a situation we're struggling with. Yes metaphors are in the eye of the beholder. Our minds are also meaning making machines, and therefore they are very good at noticing the pattern within a metaphor that does apply, and ignoring everything that doesn't. So using the bear and eagle as a metaphor could have brought to mind the viscous aspects of their nature - but it didn't. However it might have done when asked to apply it to a different situation that perhaps did require more self preservation like behaviours. There is no right or wrong with metaphors - all they do is open up a conversation so that the current situation, barriers to change, options, opportunities and the desired outcome are seen from a different perspective. This enables solutions to be found regarding what action to take in order for progress to be made. After coaching others for the last 15 years I undertook some CPD by attending an Association for Coaching accredited coaching workshop last summer. As with anything we've been doing for some time the biggest challenge was moving from unconscious competence - or perhaps in some cases unconscious incompetence. That is to put aside what I already knew, and be open to new and different perspectives and insights. Coaching - like a lot of words - means different things to different people. In essence it's about asking powerful questions to help the client identify where they are, where they want to be, and how to get from one to the other. Then it's a case of asking different and yet still powerful questions, as they move towards their desired outcome - supporting the client's learning and insight as they go. Unlike mentoring the coach may not need to know anything about the area the person is being coached on. So long as they have access to the right questions. That said, it's always useful for the coach to have experience in for example procurement because it's easier to understand the variables about which to ask questions. Coaches do have areas of expertise - some might for example excel at leadership, management, team working, communication, health or fitness coaching. Or they might cover all of these within a specific profession such as procurement, sales, marketing and so on. Or excel in a specific sector such as Pharma, Transport, FMCG and so on. In addition to asking powerful questions coaches also have a vast array of tools they can use to help a client explore the situation. What these tools are will very much depends on the coach - for more on the tools I use do see this post written last year. You may also want to read this post that explores my use of metaphor in much of my work. Sessions may be ad hoc, involve a number of sessions over a period of time, or even be for an intensive 1 or 2 day session. Do get in touch if you'd like to explore more about the coaching I might be able to offer you, a team member or your team. How are you getting to know the buyer? Yesterday I shared more about the services the Purchasing Coach delivered in 2015, and obviously still can in 2016. One new additional service for 2016 is 'getting to know the buyer' workshops and coaching - aimed at helping suppliers understand more about dealing with purchasers. For more information about attending a session do please get in touch. What's my service provision for 2016? If 2014 was the year to work full time for one client, developing and implementing category strategies in one location, then 2015 was its opposite. In 2015 I worked in numerous European and American cities for a number of different corporate clients (some via other procurement consultancies, and others direct) delivering a range of coaching, consultancy, training and facilitation services mainly to procurement departments. and in 2016 I've been asked to develop 'get to know the buyer' sessions to help suppliers understand what makes procurement professionals tick! In addition to procurement the common theme of the work was often problem identification and seeing situations from different perspectives. My expertise in this area means people and projects more easily get back on track able to deliver results, and therefore meet, or even exceed, their objectives. I've written a blog on why I say I inspire change inside and out that may also help . This ability to help people who are stuck to get back on track has expanded and in November I launched the new Landscaping Your life (LYL) website. LYL is a process I've developed that uses nature to inspire change to: see the wood for the trees, get out of a rut, take your head out of the sand and see the molehills for what they are! The effectiveness of this process is because of the power of metaphors that bypass the barriers and resistance to change. Do get in touch if you're interested in me providing any of the above services either directly, or as an associate. 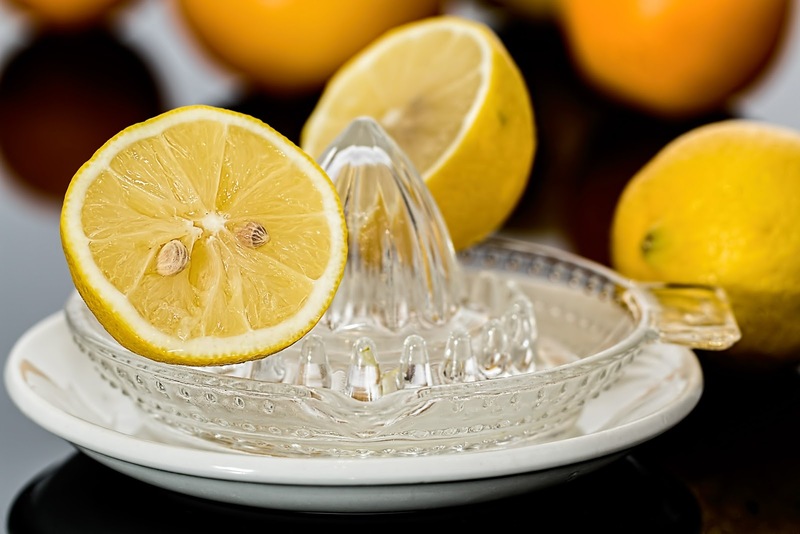 Will you squeeze every last drop of juice from 2016? then it's our responsibility to get every last ounce of juice from it. Here's to a very juicy 2016 - whether that's love, laughter, fun, climbing mountains, reading, blogging, writing, travelling, raising children, caring for others, saving the world, or what ever else inspires your passion for life.